Designer Steven Kerestegian is probably one of the most innovative designers and brings the use of Salmon and leftover skin to an entirely new level. The next time that you’re thinking of throwing away the skin on your filets, remember that there is a man from Chile that figured out a way to make leather out of them. Kerestegian’s country is the second largest producer of farm-raised salmon and he wanted to find a way to make use of the discarded skin of these salmon instead of just seeing it thrown away. These plants were not interested in the waste that Kerestegian knew would be put to a clever niche and ES Salmon Leather was born. The Salmon Leather Shoes that ES Salmon produces are formed by salmon skins that are made into rolls of leather. 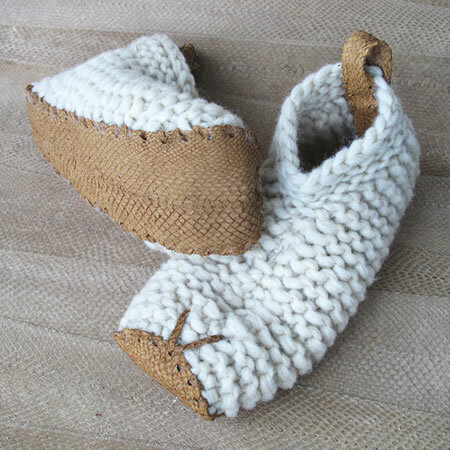 Patagonian artisans hand-knit wool slippers with salmon leather shoes and this is Kerestegian’s main product. He calls his process “UpCycling” and is very proud of the work that he’s doing with what would otherwise be garbage. Check out the video above and see the Salmon Leather Shoes that he makes. You can see his website of other Salmon Leather creations here.